Get information on local Rallies and Events. Events fill up quickly, so get your registration in as soon as you see the event posted. If you don’t get accepted on the first go-around don’t give up. Because “life happens”, there are usually cancellations and if you’re patient, you still have a good chance in obtaining a site. 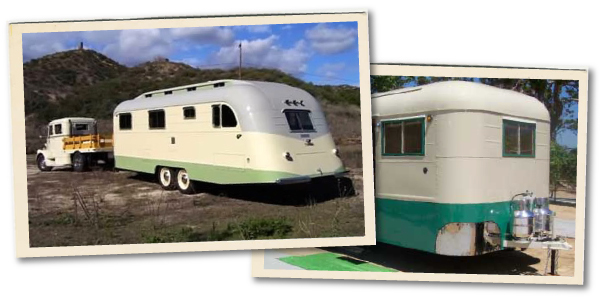 Find and compare the various years and models of trailers if you’re looking to see what may be available on the market or you are in the process of restoring your own vintage trailer. 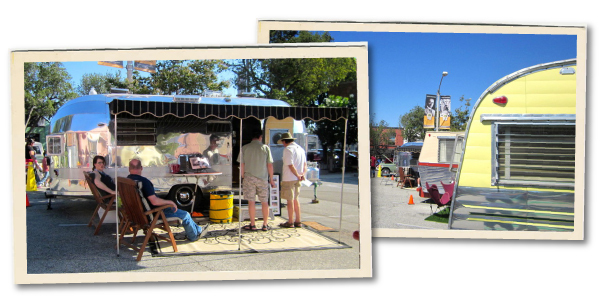 We do not have an agenda to buy, sell or restore vintage trailers; we only restore trailers for our own personal use. 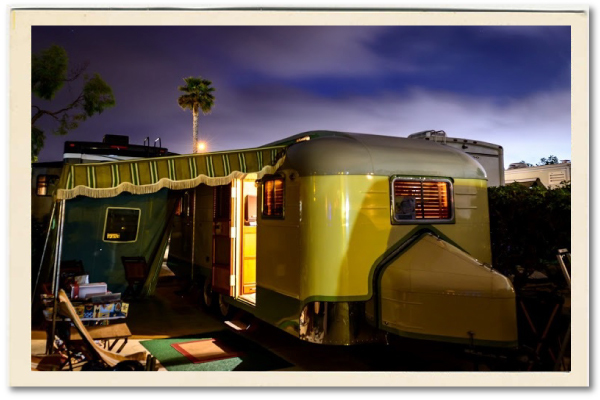 We are dedicated to the common interest of fellow trailerites in celebrating the fondness of vintage trailers by promoting the restoration and preservation of our “gems” and to the education and networking of their caretakers. Take a moment to peruse the pictures in the archive photo gallery to view some selected past rallies which provide an overview of the vintage trailers, participating trailerites and social activities . . .
With appreciation and happy trailering — see you on the road!